ABUJA – The National Health Management Information System office has said that Nigeria’s health data are not real and accurate. The Head of Nigeria’s NHMIS, Dr. Emmanuel Abatta, stated this during the weekend while speaking at a stakeholders mobilisation workshop on data inclusion which held in Abuja. 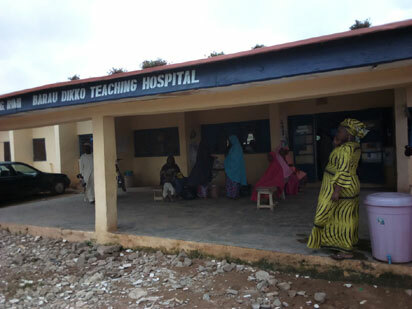 Ungwan Rimi Primary Health Centre, Kaduna North Local Government Area. While noting that about 60 per cent of health care services were provided by Community Pharmacists (CPs) and Patent Proprietary Medicines Vendors (PPMVs), Abatta regretted that data generated by these groups of providers were not captured by the NHMIS. He stressed the need for the development and strengthening of data reporting system for CPs and PPMVs in the country to ensure realisation of accurate data that could stand the test of time. He said: “All health data at the public domain are not real and accurate. The majority of services provided at the community level are not captured. In the same vein, Dr Edwin Akpotor, Senior Programme Officer of PSN-PACFaH @ Scale Project, faulted the latest National Demographic and Survey (NDHS) and the country’s recent statistics on Contraceptive Prevalence Rate (CPR), malaria, among others; describing those data as wrong. He said for not capturing CPs and PPMVs in NHMIS, the country was missing out on valuable data as they are the first point of call in primary healthcare. “Over the years the NHMIS platforms have omitted the inclusion of data from CPs and PPMVs, data of the platform are mostly generated from public facilities, general hospitals and tertiary health institutions. “So, we see that gap as a major barrier in ensuring that Nigeria meet set targets of FP, reduction in maternal/neonatal mortality rate among others. “60 per cent of Nigerians patronise CPs and PPMVs and these services are not captured in the 2013 National Demographic and Health Survey (NDHS) among other data platforms. “And we believe if these data are well captured we will have a better representation and interventions” Akpotor said. Stakeholders represented at the workshop include the Federal Ministry of Health (FMoH), the National Primary Healthcare Development Agency (NPHCDA), the Pharmacists Council of Nigeria (PCN), and the Pharmaceutical Society of Nigeria-Partnership in Child and Family Health @Scale (PSN-PACFaH @ Scale). Others were the Association of Community Pharmacists of Nigeria (ACPN) and Patent and Proprietary Medicines Vendors (PPMVs).